Visit www.tbccounseling.org/conference for more conference details! 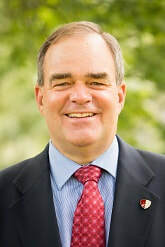 Dr. James (Jim) Newheiser, Jr., is the Director of the Institute for Biblical Counseling and Discipleship (IBCD) and the Director of the Christian Counseling Program at RTS Charlotte. He is also the Associate Professor of Christian Counseling and Practical Theology at RTS Charlotte and an Adjunct Professor of Biblical Counseling at The Master’s College. Furthermore, Dr. Newheiser serves as a board member at both the Biblical Counseling Coalition (BCC) and the Association of Certified Biblical Counselors (ACBC). For 25 years, Dr. Newheiser served as the Preaching Pastor at Grace Bible Church in Escondido, California before taking over the Christian Counseling Program at RTS Charlotte in 2016. He now oversees all the counseling degree options, including the 66 credit-hour MA in Christian Counseling (MACC). Dr. Newheiser teaches many of the counseling courses as well as some practical theology courses. Jim has been married to his wife Caroline for 36 years and they have 3 adult children.